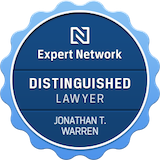 During his 35 years in private practice, Jon Warren has achieved spectacular results for his clients. He has focused his work on representing seriously injured clients in complex personal injury claims. These types of claims have included: medical malpractice claims, work-place injuries, motor vehicle accidents, motorcycle and bicycle accidents, pedestrian accidents, construction accidents, falls, and more. Examples of his substantial results can be reviewed on this site. He is dedicated to making a real difference in the lives of those who become disabled or injured, as well as those who are the survivors of the victims of wrongful deaths. Jon has served for several years as a Judge Pro Tem in the Court of the Philadelphia Court of Common Pleas. Selected because he is a respected member of the trial bar, Jon is often asked by the Court to mediate and resolve serious personal injury cases before they go to trial. He has facilitated the expedited resolution of many cases in this manner, helping parties reach a favorable result before a trial becomes necessary. Jon is a 1981 graduate of the James E. Beasley School of Law at Temple University. For 27 years, he was an equity partner in the law firm of Solomon, Berschler, Warren, Schatz, Flood & Monaghan in Norristown, where he managed the firm's complex litigation cases as well as their law clerk program. In June of 2010, Jon decided to make a change and join forces with Terence Sean McGraw to form the new firm, Warren McGraw & Knowles LLC. Jon and Terry feel strongly that the merger of their two practices offers their injured and disabled clients the full breadth of legal services they need under one roof, personally handled by experienced lawyers who are committed to a "client first" mentality. Jon is a member of the American Association for Justice, Pennsylvania Bar Association, Pennsylvania Association for Justice, Philadelphia Trial Lawyers Association and the Montgomery County Bar Association and its Trial Lawyers Section. 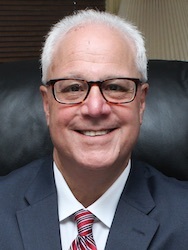 He is an active member of the Medico-legal, Bench-Bar and Civil Rules Committees of the Montgomery County Bar Association and has served as the Chairman of the Civil Rules Committee.